For those of us obsessed with reef aquariums, it is always an exciting time of year when MACNA (Marine Aquarium Conference of North America) comes around. The annual conference offers one of the best opportunities to learn more about the hobby with all of the awesome speakers, getting chummy with product manufacturers and finding out the inside scoop on some of the latest technology and equipment being introduced into the hobby. One of the most highly anticipated new products this year is the Neptune Systems Apex WAV pump and their new 1LINK module. 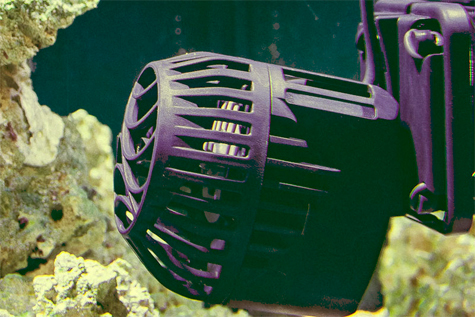 This year at MACNA we got our first hands-on look at these new pumps and today we are going to share some of our insights into what is quite possibly the future of water movement in our aquariums. The new wavemaker from Neptune Systems allows for a seamless integration the Apex aquarium controller—which is required if you intend to use these pumps in your tank. With the new 1LINK module, all you need to do is plug the module into your Apex then attach up to three WAV pumps with a single cord going to each pump. This way you are not taking up precious sockets on your EnergyBar. Plus, less cords means less hassle. 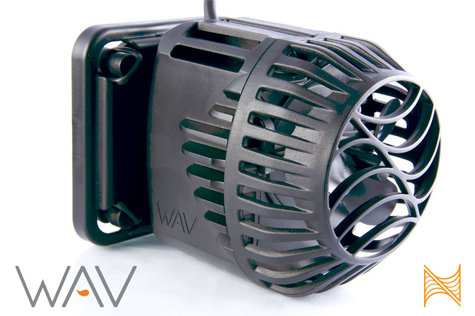 One of the most impressive facts about the WAV pump is that it is so powerful—yet so compact! Each pump is capable of moving more than 4,000 gallons per hour (GPH) and is completely controllable using Neptune Systems’ cloud-based aquarium command center, Apex Fusion. 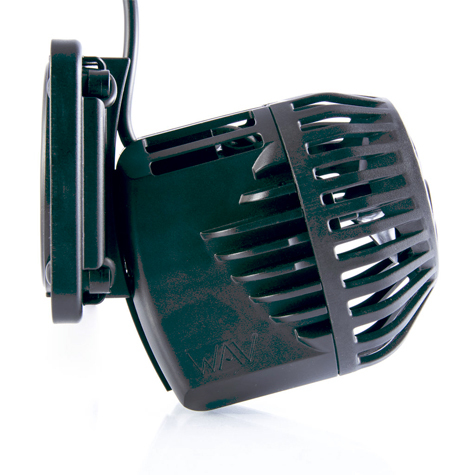 They run very quietly, with quite possibly the quietest drivers found on any powerhead. The low-profile magnetic mount is really strong. It is suitable for tanks up to 1″ thick with a pivot that gives you a 40° range of motion, making it easy to mount them discreetly and aim them right where you want them. 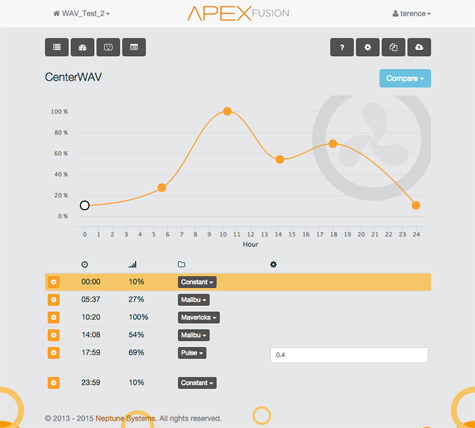 The WAV pumps also have some ingenious flow control options via Apex Fusion. A variety of programs including standard constant, random, pulse, sync, anti-sync as well as the unique “Malibu” and “Mavericks” modes for all you big wave chasers. 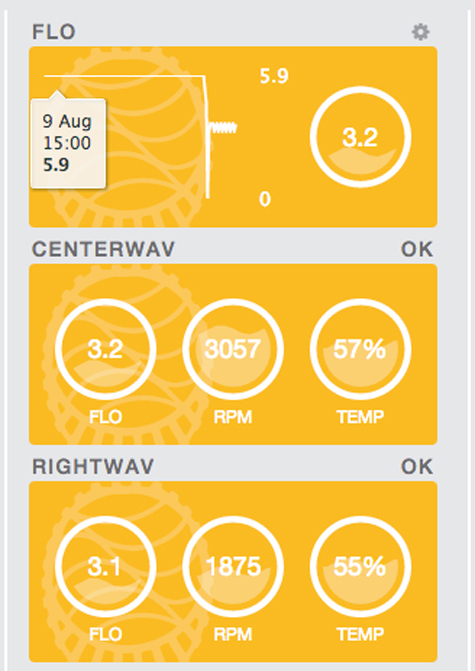 Using Apex Fusion, you can get detailed real-time pump status, allowing you to monitor your current mode, RPM, temperature and status of the pump. Apex Fusion can even take corrective action using its built-in artificial intelligence to stop the pump and/or send email or text alerts in the event something goes wrong. 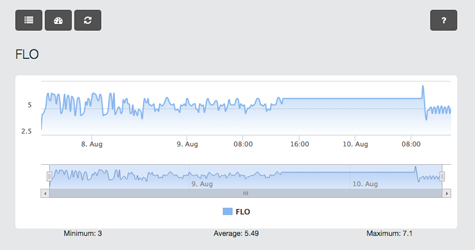 Neptune Systems has integrated some really intelligent sensors that help prevent damage to your pump. The pump will stop operation completely if it senses a snail or rock jamming the impeller, if the pump falls off your tank wall or if it is removed from water. With all of these cutting edge features, all of us Apex users here at Marine Depot are excited to get these pumps up and running in our own tanks. 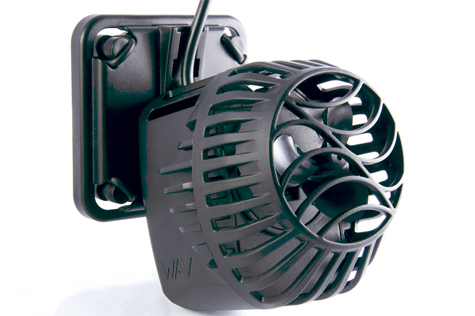 If you are looking for an easy-to-use water flow solution with an advanced feature set, give us a call today at 1-800-566-FISH to order the Apex WAV pump for your aquarium. Please like and share this article/video to help us spread the word about these revolutionary new aquarium pumps! Don’t forget to subscribe to our YouTube channel to stay up-to-date on the latest aquarium keeping news and technology. Thanks for letting us share our knowledge with you! 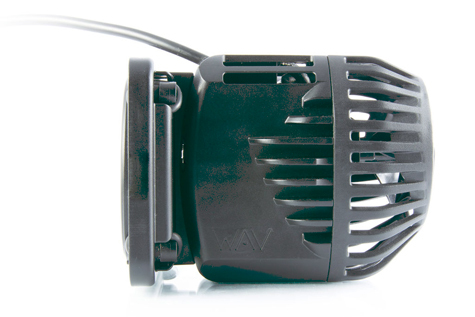 > View Neptune Systems Apex WAV Pumps in our online store. 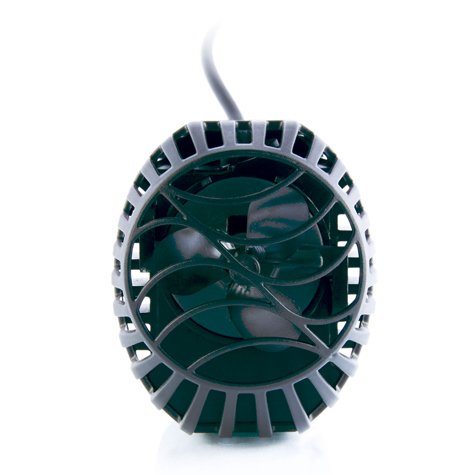 > Shop for Neptune Systems Apex AquaControllers in our online store. > Get a thorough breakdown of the WAV on Neptune Systems’ website.